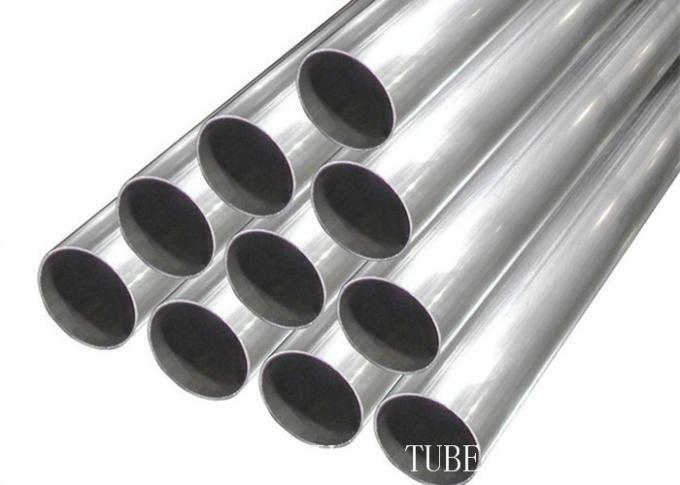 Applications: Titanium welded tubes and pipes can be used in heat exchangers and condensers, all kinds of corrosive fluid transmission pipeline system, Titanium bicycle tube, automobile exhaust pipe and offshore aquaculture, etc..
Standard: ASTM B337, ASTM SB338, ASTM B861, etc. Palladium (Pd) and Ruthenium (Ru), Nickel (Ni) and Molybdenum (Mo) are elements which can be added to the pure titanium types in order to obtain a significant improvement of corrosion resistance particularly in slightly reducing environments where titanium otherwise might face some problems due to insufficient conditions for formation of the necessary protective oxide film on the metal surface. The formation of a stable and substantially inert protective oxide film on the surface is otherwise the secret behind the extraordinary corrosion resistance of titanium. The mechanical properties of commercially pure titanium are in fact controlled by “alloying” to various levels of oxygen and nitrogen to obtain strength level varying between approximately 290 and 550 MPa. For higher strength levels alloying elements, e.g. Al and V have to be added. Ti 3AL 2.5V has a tensile strength of minimum 620 MPa in annealed condition and minimum 860 MPa in the as cold worked and stress relieved condition. The CP-titanium grades are nominally all alpha in structure, whereas many of the titanium alloys have a two phase alpha + beta structure. There are also titanium alloys with high alloying additions having an entire beta phase structure. While alpha alloys cannot be heat treated to increase strength, the addition of 2.5% copper would result in a material which responds to solution treatment and ageing in a similar way to aluminum-copper. 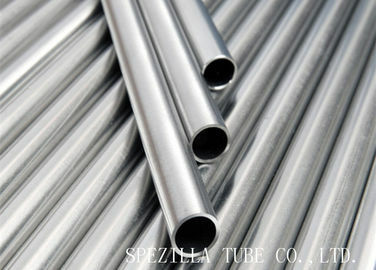 Tubes Size : 6 mm OD x 0.7 mm to 50.8 mm OD x 3 mm thk.